Whether it is to buy the latest model of smart phone, modify the house to accommodate additions to the family, to fund weddings or need to go on a vacation for which kids have been asking you for long or at all to deal with an unexpected emergency- there are times when we all need to have a large amount of extra cash. And when you are short of this extra cash to get those things, personal loans are one of the methods of making it possible. All personal expenses you want to make can be made by availing a personal loan. 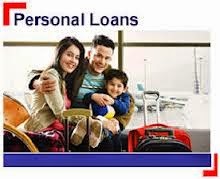 Personal loan is an amount which you can borrow from banks, money landing agencies, credit card companies or from any other authorized or unauthorized organizations on certain decided conditions and interest rates. But it's hugely important to make sure you get the personal loan that's right for you to avoid problems in the future. What are the tips and check points before you go for a personal loan ? The golden rule of personal loan is that one should take out the smallest loan which you can and arrange to pay it off as quickly as possible. If there is any delay in payment of loan instalments, the loan amount would get compounded along with interest and could create problems in the long term. While applying for any personal, ensure that you opt for a reputed bank or a lending agency which are customer friendly and do not indulge in malpractices. There have been instances of people who have been burdened by the unfair charges being levied by the unscrupulous organizations. Avoid money lenders for taking personal loan as it can become quite cumbersome to repay the hefty amount of interest. The most important tip for you to get personal loan is the check before hand the interest rate being charged to you. Also ensure that the interest rate mentioned in the loan agreement is the same as discussed with you. Also insist on getting the copy of the loan agreement for the interest rates and the terms and conditions of the loan. There are usually 2 types of charges that are levied when applying for a personal loan. First, at the time of application which can typically vary between 2-3% of the Loan amount? And secondly, when you prepay your loan i.e., if you pay-up the loan before the loan tenure then, there is a prepayment charge varying from 2-3%. Check whether loan is subject to any collateral securities? If the bank or the lending agency is offering you a low rate loan on the basis of any collateral securities like your house or car, the low rate of loan may sound good but if you happen to default on payments, the bank can take over your security, putting you in difficult situation. Therefore avoid any loan subject to collateral and go for pure loan based on your repaying capacity only. While applying for a Personal Loan, make sure you borrow within your means or else the repayment will become a long and tedious process which could affect your credit history and credit score if you have outstanding payments. If your credit rating is affected due to defaults in payments, then you may not be eligible to avail necessary loans like home loan or car loans if required. These are some of the tips for you before opting for a personal loan. Though personal loans are easy to get but if they are not handled properly, these can create an uncomfortable situation for you. Therefore choose your personal loan carefully after conducting due research and understanding of the cost & the benefits involved. Lenders take your credit file into account when deciding what interest rate to charge you, as well as how much you can borrow. And only those with high credit scores will be accepted for the best deals.